We recommend Ambassador Towing. They are professional and reliable and offer after hours towing. It is important that your choice of collision specialists is dependable, knowledgeable, and quick at their job. Your in good hands if you want to restore your dream car. You’ll be working with our auto restoration specialists. We are able to quickly and effectively remove those pesky dents and dings with ease thanks to our high-quality skills and equipment. 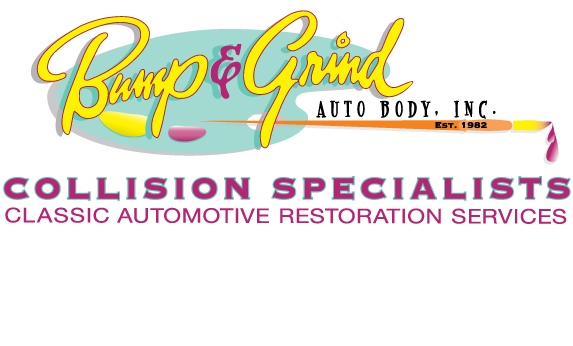 Why Choose Bump & Grind Auto Body? Our experience, customer service and services offered make us great. Our customer's satisfaction is our number 1 priority. We've been in business for over 35 wonderful years.